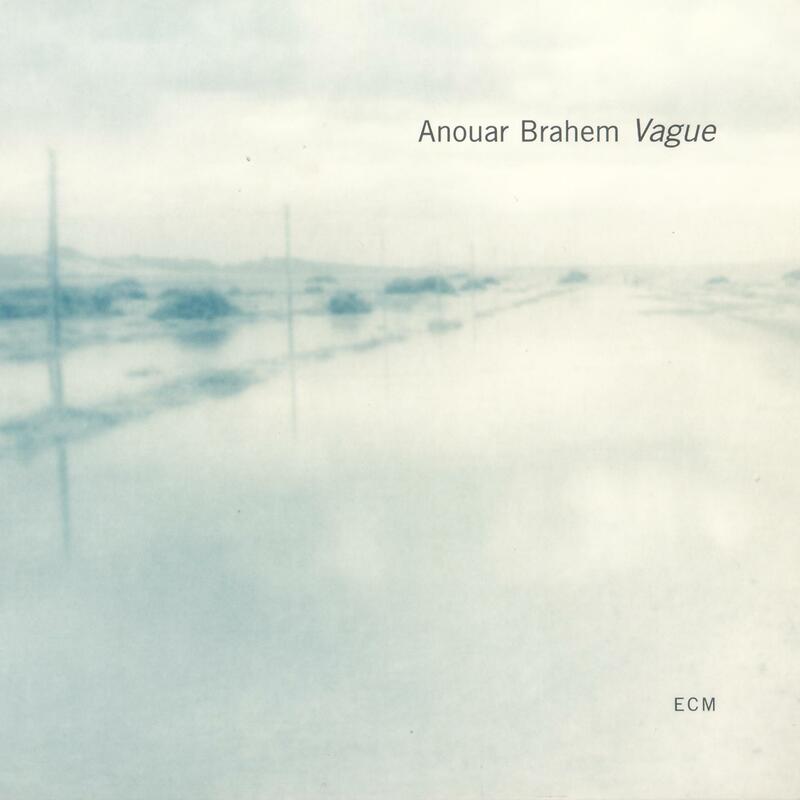 This conspectus of Tunisian oud master Anouar Brahem, exclusively released in France and Belgium in 2003, might have flown under most radars, but considering that its tracks are taken from pre-existing ECM albums, there’s nothing lost in skipping this one. For those new to Brahem, however, this is a worthy place to begin the journey. Spanning a decade of work for the label, the program builds off two selections from Brahem’s 1991 debut, Barzakh, beginning with the solo “Ronda.” Being an early piece, it is more overtly expressive of the verve that moves him (compare, for example, the restraint of more recent ensemble pieces like Souvenance). And yet, even at his most animated he is sensitive to silence. He carves his themes like the rosette of his very instrument, leaving behind a design of grand yet intimate beauty through which the timelessness of his music flows. This album is as much a portrait of Brahem’s supremely gifted associates as of their prodigious leader. In “Parfume de gitane” he is joined by violinist Béchir Selmi and Lassad Hosni on the frame drum, longtime friends whose points and lines magnify one of ECM’s most original voices. There is even “Bou Naouara,” a goblet drum solo by Hosni, to cleanse the palette along the way. “La nuit des yeux” finishes the compilation proper with another solo, in which one can almost feel the night opening its palm and inviting us to dance into places not even the moon can reach. Before getting to that ending, we are treated to a shuffled assortment of projects, including one of his most outstanding in the form of 1998’s Thimar. In that trio with multi-reedist John Surman and bassist Dave Holland, he created something unforgettable. On “Houdouth,” Surman’s bass clarinet is the rough to Holland’s smooth, and together with Brahem’s lilting undercurrent contributes to three most evocative dimensions. For “Mazad” Surman switches to soprano in a classically shaped tune, played with such intuition by this unprecedented (and unrepeated) combination. Although Brahem composes nearly everything on Vague, “Hulmu Rabia” reveals yet another motivation behind its assemblage: Brahem as composer. For here the oudist is nowhere in sight, but everywhere in sound as Surman and Holland navigate a mournful tune on their own. From Conte de l’incroyable amour we get two tunes. 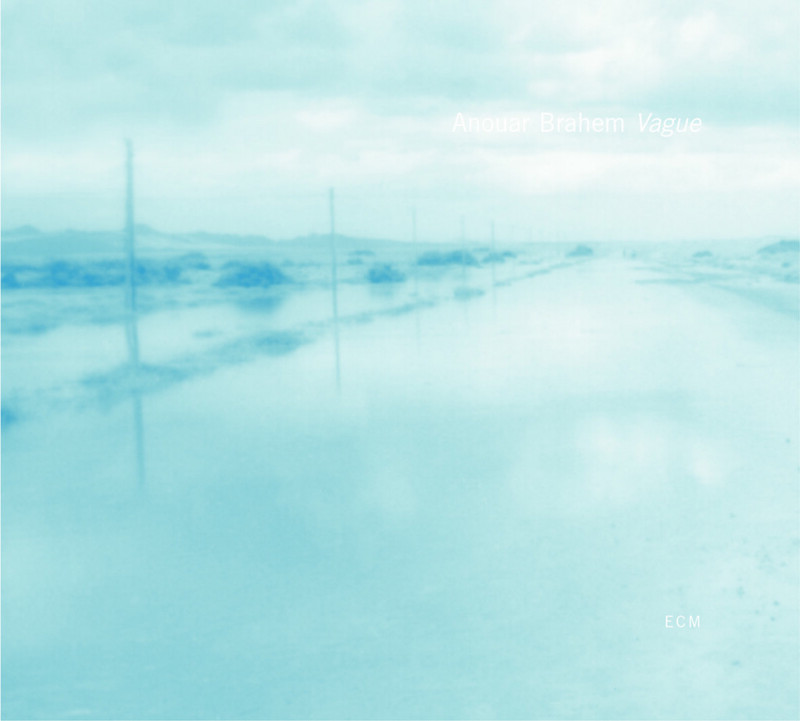 Brahem’s second ECM album, released a year after his first, furthers his relationship with Hosni and introduces ney virtuoso Kudsi Erguner for “Diversion.” Erguner’s playing is so genuinely sandy that you might as well give up on trying to knock every last grain from your shoes. With a tone that could charm the charmer, he lifts the curtain of exoticism and floods the stage with life, patient and serene. “Le chien sur les genoux de la devineresse” is a third oud solo, which sounds like a troubadour’s lute before a fluttering plectrum announces more distant roots. “Sebika” is the only track to make it from 1994’s Madar, pairing him here with Jan Garbarek, in whose presence the oudist becomes a tactile springboard for the Norwegian saxophonist’s parabolic improvisations. There has always been something of the shawm in Garbarek’s tone, and it finds a natural place in such a context. My only minor disappointment is that a personal favorite, Le pas du chat noir, only gets one nod as well. Thankfully, it is such a well-cut gem in Brahem’s discography that any facet of it will do, and “Leïla au pays du caroussel, variation” is a suitably nuanced ambassador. It is the second of his magical combinations: oud, piano (François Couturier), and accordion (Jean-Louis Matinier). The latter combination was somewhat foreshadowed in “E la nave va,” in which bassist Palle Danielsson, Couturier on piano, and accordionist Richard Gálliano, who barely whispers over the field abandoned by Brahem, introduce a handful of selections from Khomsa. 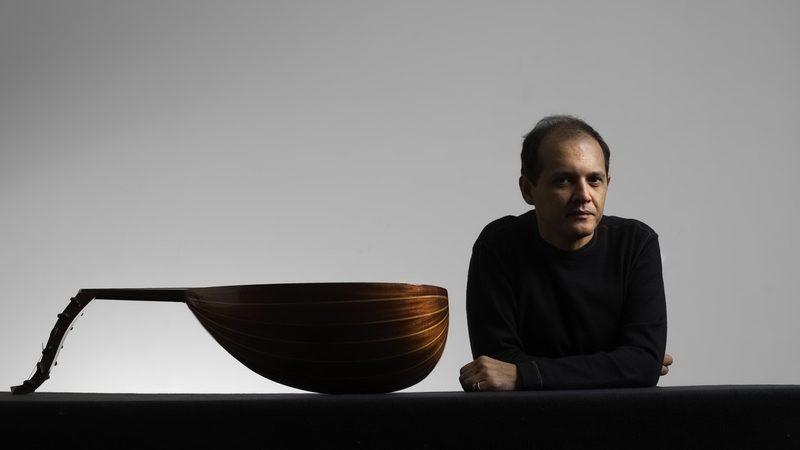 This 1995 album was a major turning point in Brahem’s compositional output, mining old connections while also building new ones. “Comme une absence” is uniquely scored for synthesizer (played by Couturier), Selmi’s violin, and Jean-Marc Larché’s soprano saxophone, with Danielsson and drummer Jon Christensen caressing the horizons on either side of their passage. This compilation’s title track also comes from the same album, a duet between Gálliano and Couturier that works a cinematic, Philip Glass-like progression by splicing DNA into discernible scenes. “Claquent les voiles” is also a duet, this time between Brahem and Danielsson, and features strummed chords for a more rustic sound. This one even hints at the atmospheres of Thimar. Astrakan café, released in 2000, places the oud among Barbaros Erköse’s clarinet and Hosni’s goblet drum on both of the chosen tracks. “Nihawend lunga” is composed by Jamil Bey and arranged by Brahem. Its balancing of light and dark elicits likeminded virtuosity from Brahem. An alternate version of the album’s title track, on the other hand, fronts the two melodizers while the drum barely taps its way beneath. Brahem is a non-invasive force whose former music has equal footing in our world and another of its own making, whereas now he has abandoned the dreamlike cast of his net and settled into the wonders (and bafflements) of reality. If anything, Vague chronicles the awakening of an artist whose vision has become greater than the sum of its parts and has yet countless paths to cross.